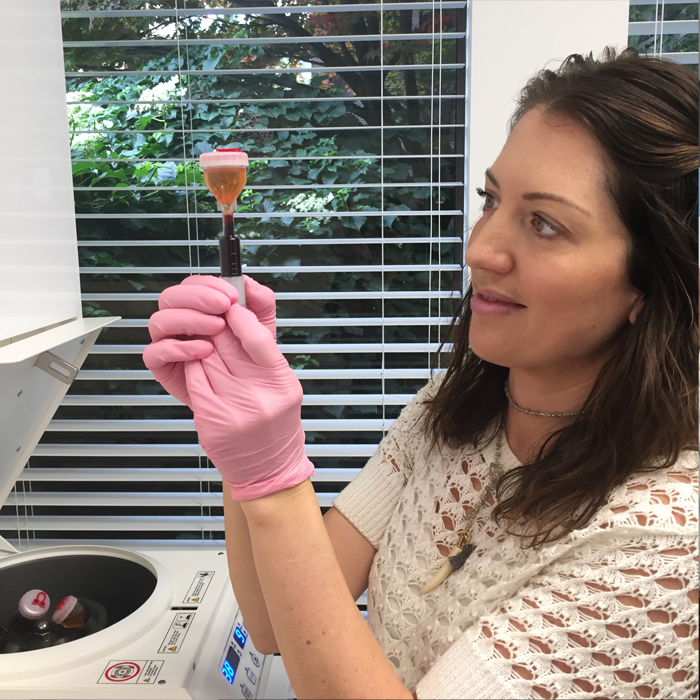 The usage of your own blood concentrates, Platelet Rich Plasma or Platelet Rich Fibrin is becoming more popular among individuals looking for a more natural fresher look. Both PRP and PRF are a naturally occurring concentration of platelets in our blood that are crucial to wound healing. 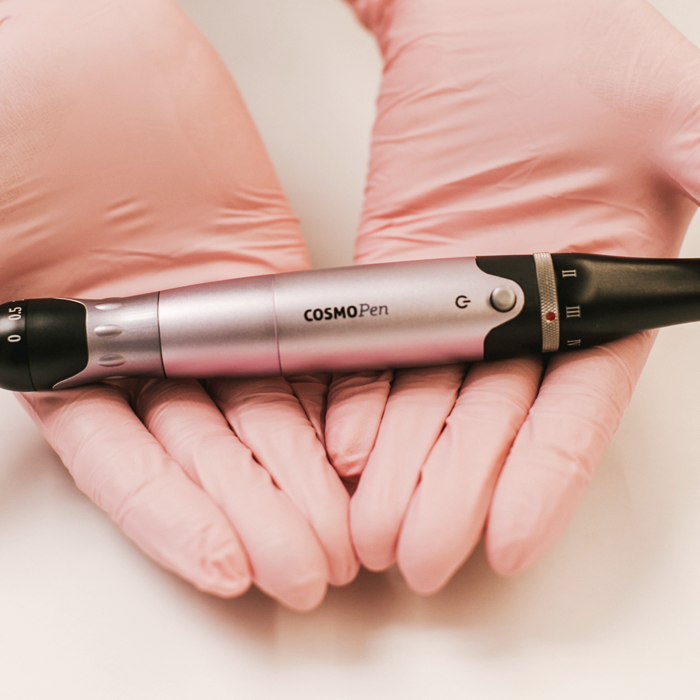 When used in conjunction with microneedling or injected with our V2 medical device, these naturally occurring growth factors are released into the skin to expedite our body’s repair process and stimulates healthy new collagen and elastin production with incredible results. The goal of PRP/PRF Skin rejuvenation injections is to improve skin’s youthfulness or restore hair growth. Because this treatment uses your own blood’s cells, most people are good candidates for the treatment. However, patients who have anemia, those taking blood thinning medication or NSAIDS may not be suitable for the treatment, all patients must have a consultation with our naturopathic physician to pre-determine candidacy. A strong topical anesthetic is applied to the skin prior to treatment to reduce discomfort of the procedure. Your blood is drawn by our naturopathic physician into a collection kit. The blood is spun to collect either PRP or PRF depending on patient treatment protocol. The depth and speed of the procedure is individual per patient issues. We needle with your body’s own growth factors to obtain the best results possible. While these micro channels in your skin are open and in an intensified wound-healing state, the collected PRP or PRF aids in repair and remodelling of the dermis. The downtime post-procedure is minimal, typically a patient may experience redness and minor swelling for 12 to 48 hours afterward, akin to a minor sunburn. Usually you will notice some improvement in the texture, tone and vitality of your skin after the the first or second treatment. More significant results will occur after 3 treatments spaced 4 weeks apart. Collagen remodelling takes place over time. Skin will continue to improve over the next 6 to 12 months post treatment with proper home care regimen. Microneedling with PRP or PRF creates permanent and dramatic reparative changes to skin, results will vary in each patient.